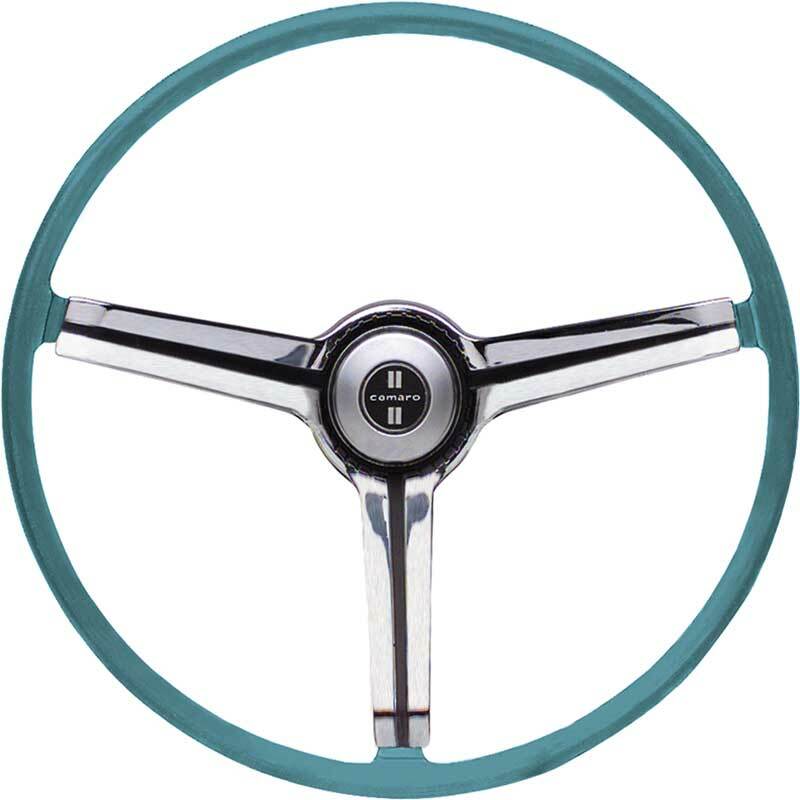 This is an OER reproduction of the standard steering wheel for 1968 Camaro models, also used with deluxe interior packages or decor groups on 1968 Chevrolet models. Available exclusively in black and features a brushed chrome shroud. 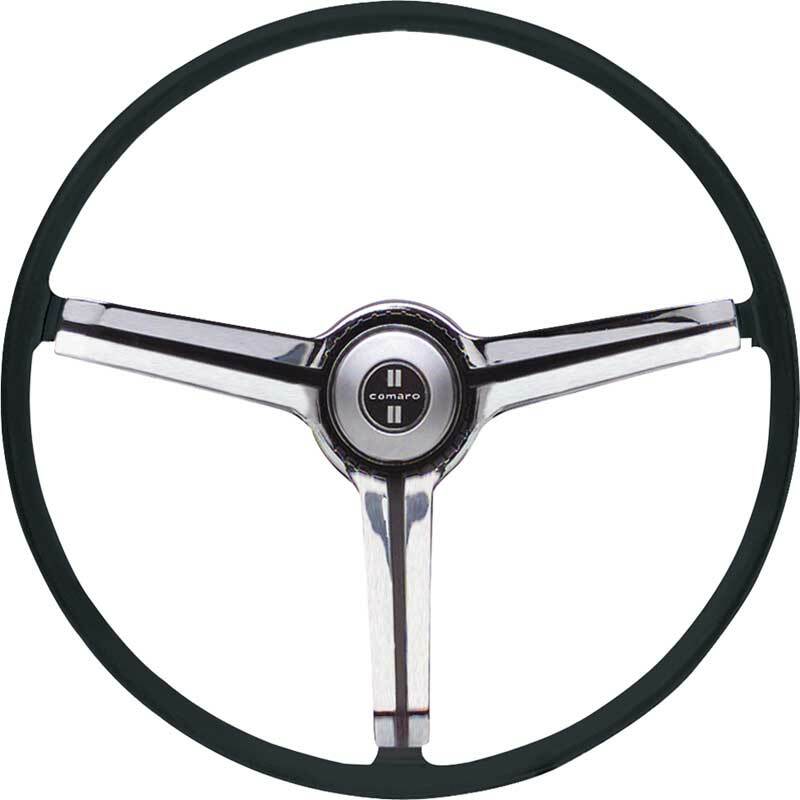 This isa n exceptionally good quality reproduction that will replace an original cracked or damaged steering wheel exactly and help bring the appearance of the interior back to showroom condition.